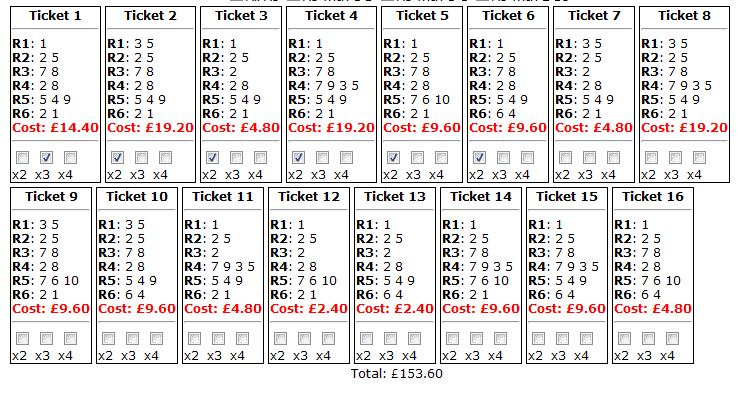 As promised, here's the first of four days where I publish my placepot part-perm. For those who don't know about placepots or part-perms or anything else like that, take a look at this post, which explains all. How To Win the tote Placepot. Monday's are always tough, as the racing is so moderate. I must admit that I've selected horses with an expectation that the good to soft will get softer as the forecast rain arrives later. If I'm wrong about that, then the 'pot may well evade me. But these are the decisions we have to make! I also have the intention, should I be riding still and should it be worthwhile, of combining the three I DON'T have in the last in a combination exacta as insurance. That way, if they fill the first two spots I get a nice paying exacta to cover my investment, and if they don't I have the placepot for however many units. Of course, I have to get to leg six for that to be in any way material....! Enough. Here's the perm (click the link to enlarge). Is it the norm to settle the placepot against 1 race taking into consideration the card was cancelled due to weather conditions? That would be sod’s law striking! 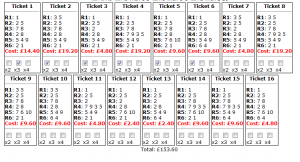 So having ‘got’ the placepot for about Â£25, I lost Â£110 on the deal due to the dividend only being Â£1.30! That’s showbiz. On to tomorrow and better luck, I hope. At least, I suppose technically I continued my run of ‘getting it up’ each day (as it were). Just need to make sure it pays more than I’ve staked…!